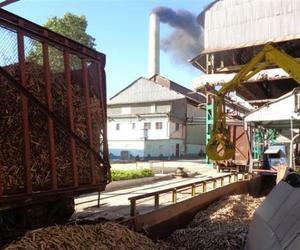 Cuban and Mexican professionals held exchanges in Havana on the possibilities of modernizing the sugar industry in their respective countries, by implementing innovative projects. Discussions on the subject I occurred in one of the panels of the Third Meeting of the Association of Sugar Technicians of Cuba (ATAC) and Mexico (ATAM), held at the Lazaro Pena Convention Center in Havana. Participating in the meeting were representatives of companies of the two nations and researchers from Cuban institutes and universities, Eduardo Martinez, president of the ATAC, told ACN in an exclusive interview. He mentioned the existence of an automated system for sugar cane weighing implemented at the Motzorongo Group (Mexico) and one for the industry’s data management, IPlus, developed by DATAZUCAR, a division of the Industrial Technical Services company belonging the Sugar Group AZCUBA. He also cited the presentation of designs and equipment projects, the decanting of juice mixed by gravity and the replacement of siphons or barometric legs by way of telescopic traps in the boiler house. He added that as for new developments there was a proposal of efficient actions for four-mace mills, and the replacement of Teflon pins for black guayacan in terms of industrial maintenance, adequate lubrication systems in tandems and other products. Cuban experts assessed a proposal of replacing acid hydrolysis for enzymatic hydrolysis for a glucose production plant in Cuba, according to the same source of information.